Learn to build configuration file readers, data readers, model-driven code generators, source-to-source translators, source analyzers, and interpreters. You don't need a background in computer science--ANTLR creator Terence Parr demystifies language implementation by breaking it down into the most common design patterns. 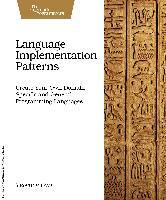 Pattern by pattern, you'll learn the key skills you need to implement your own computer languages.